Canouan is accessible by air through four major gateways – Barbados (55 min. ), Grenada (20 min. 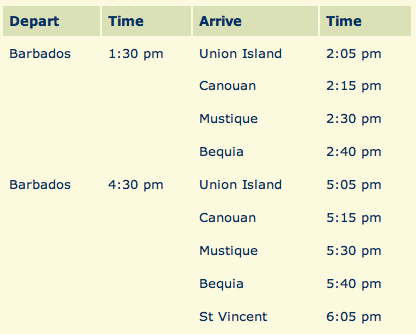 ), Martinique (60 min, and Mainland St. Vincent (15 min.) – with connection to Canouan Airport. The most frequent flights to Canouan Island are from Barbados on Grenadine Airways or Liat.com. Grenadine Airways flies once or twice daily to Canouan Island. Liat flies a couple of times a week to Canouan Island and continues to Grenada.